I used to say chocolate tasted great, but if you thought it was a health food, you were kidding yourself. 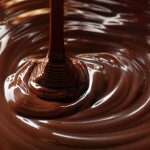 But research shows that chocolate helps manage diabetes, prevents heart disease, and improves mood. Is this too good to be true?